One Big Gun | Just Shooting Memories! Anyone who knows me, knows that I like guns. Almost as much as cameras. Most people think that, in most things, that bigger is better. I guess that applied during the civil war also. Why take to the field of battle with a small muzzle loading rifle when you can take a very large cannon. What fascinates me about the civil war is it’s blend of medieval combat and modern weapons. Where else can you see people crazy enough to line up in neat rows and charge at each other while firing the precursors to modern rifles. I guess they had not grasped the concept of cover yet. 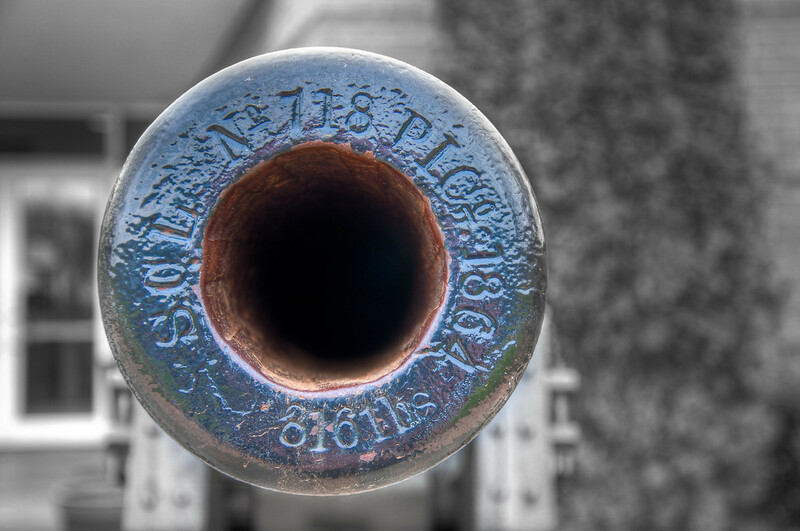 I would have hated being on the business end of this cannon. I can’t think of what you would have to get behind to call cover.